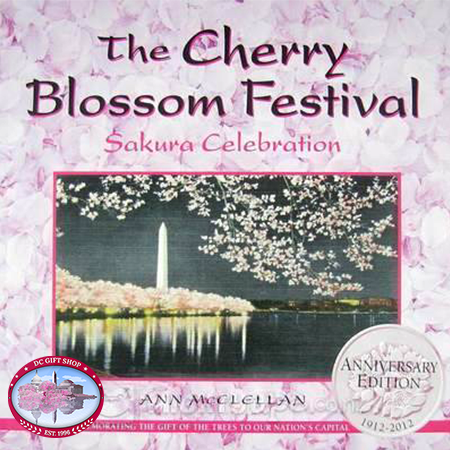 Lavishly illustrated and fact-filled, The Cherry Blossom Festival: Sakura Celebration is a fascinating and informative look into one of the world's greatest festivals. From Tokyo to Washington DC these exuberant festivals celebrate the ethereal and glorious springtime blooming of the ancient cherry tree and its role today as a instrument of diplomacy, landscape enhancement and eternal sign of spring and romance. Highlights include the story of the trees' cultivation and significance in Japan for more than 1000 years, how they came to the U.S. and their importance as representatives of Japanese and American friendship, plus listings of important cherry tree collections and other significant viewing sites throughout the U.S. and Japan. Extensive illustrations complement the intriguing stories how Japanese cherry trees came to be planted around the Tidal Basin in Washington, D.C., and of the development of the National Cherry Blossom Festival which honors the trees and their extraordinary beauty. The pivotal roles played by intrepid traveler and writer, Eliza Scidmore, and First Ladies Helen Taft and Lady Bird Johnson are included. The most significant of the more than 175 varieties of Japanese ornamental trees are featured, along with cultivation tips for home gardeners. The Cherry Blossom Festival: Sakura Celebration is sure to enlighten and entertain everyone touched by the cherry blossoms' transcendent beauty and delighted by the festivals that honor them.